This USB ISDB-T digital TV stick provides better pictures and CD quality sound. You can watch ISDB-T digital TV on your PC or laptop, in a window or full screen. You can also listen to ISDB-T radio in stereo. USB ISDB-T receiver includes a portable antenna, so you can watch digital TV at home or while your travel. Note: Before you buy please make sure there is ISDB-T signal in your area. With USB ISDB-T receiver: FM Radio and DAB'S function (optional); Watch ISDB-T digital TV on your PC or laptop, in a window or full screen; ISDB-T digital TV gives you better pictures and CD quality sound; You can also listen to ISDB-T radio in stereo. Record ISDB-T digital TV to your PCs harddisk, Playback your TV recordings at any time onto your PC screen. 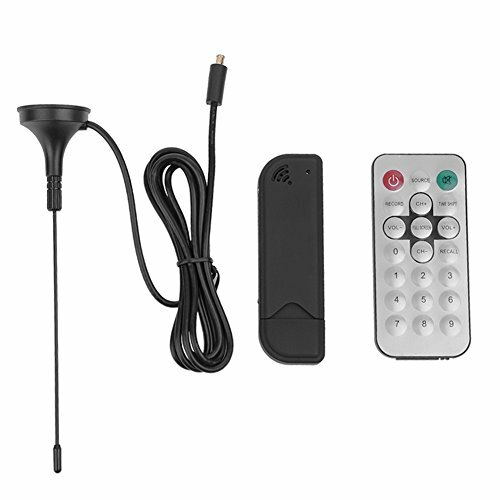 USB ISDB-T receiver includes a portable antenna, so you can watch digital TV at home or while your travel. Digital Video Recorder: Record digital TV programs to disk, and play them back to your PC screen in full original digital quality; Includes HDTV Player Schedules.